Can you believe it’s already March? The strange thing is that we are surrounded by snow, spring is definitely keeping us waiting this year. Essex is completely covered in a magical white coat of snow which is just a delight to capture as it provides a natural refection of light, brighting any type of subject you are photographing. 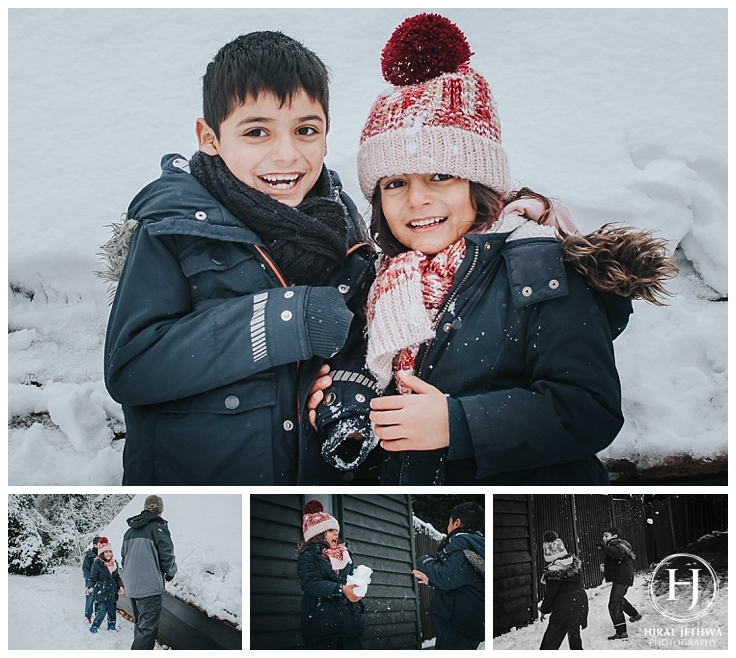 I absolutely love snow and the fun that my two little ones have. Not forgetting that us adults love it too and gives us a reason to run about with our kids and have some serious fun. 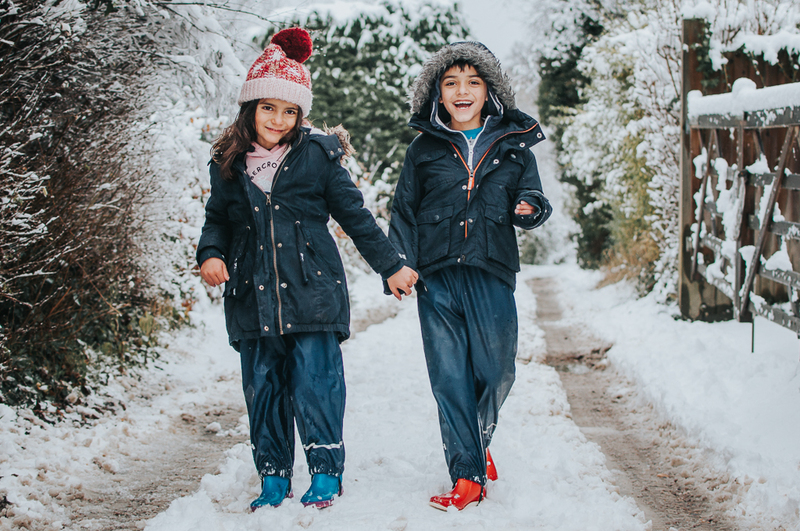 Buliding snowmans, snowball fights and finding the highest hill to go sledging is a perfect day out and you are guaranteed the kids will be ready for dinner and sleep once home. It was challenging photographing whilst the snow falling, trying to make sure water did not get inside my camera and to be able to change settings rapidly to capture all action shots when your fingers feel ever so cold. 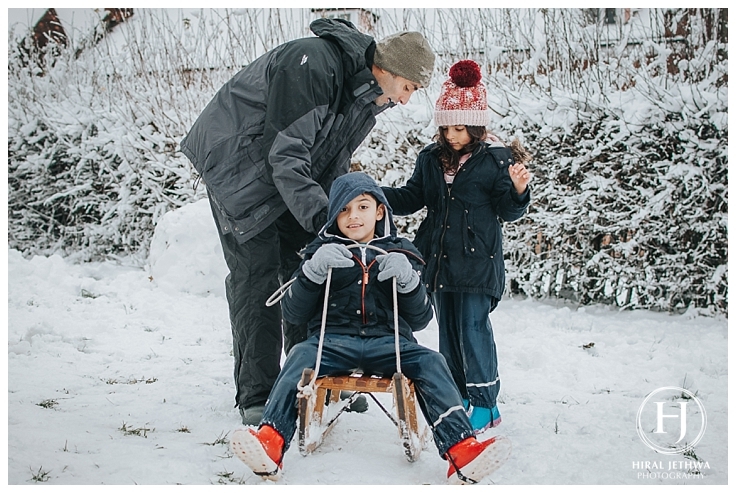 All of the effort was worth it as I was able to capture a collection of photos that tell the story of our family snow day. A day of snow filled fun activities was a great time to capture natural documentary photography of my family having fun – the tricky part is trying to get me the mum in the frame as my husband cannot take a photo, he tends to cutting off a body part or can’t focus correctly or simply misses the shot as he has no patience to wait for the right moment to compose the shot. 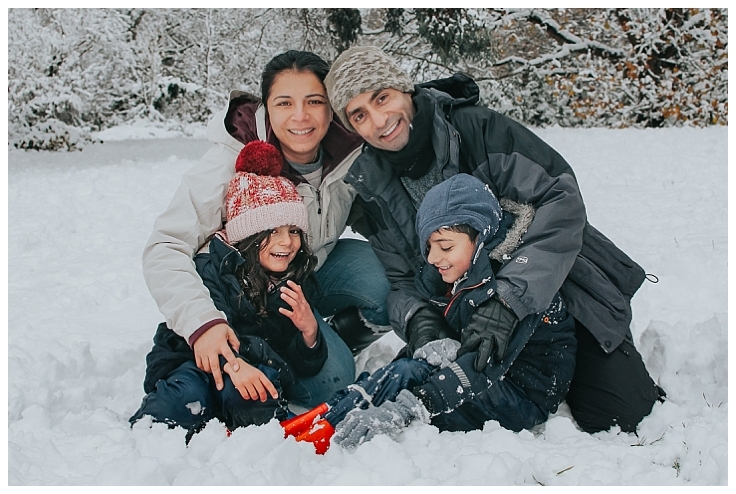 Luckily I met a friend whilst out and set my camera up with all the right setting and she was able to capture a family snow day photo of the 4 of us, one that I will treasure for life as I only have a handful of photos of the 4 of us being together. 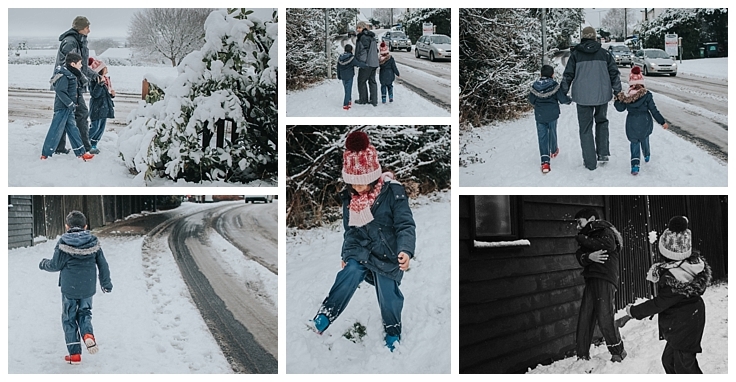 Below are some of my favourite photos of our magical snow day.